It’s been a titanic battle – UK’s Alder Hey Children’s Hospital versus a helpless 23-month-old boy. Alfie Evans suffers from an undiagnosed neurological disorder. He is not terminal, but that hasn’t stopped the hospital’s aggressive attempts – which some have called perverse, heinous and obscene – to end Alfie’s life. Lest you think we’re safe in America, our nation’s landscape is already littered with innocent victims. Throughout a lengthy string of court actions, Alder Hey has opposed Alfie’s parents at every turn. The hospital refused to allow them to transfer Alfie to one of four other hospitals – two each in Germany and Italy – that have offered to take the young patient. Police were posted outside his room, and his parents have been threatened with arrest if they attempt to remove their son from his medical jail cell. The hospital set what they intended to be Alfie’s execution date: Monday at noon UK time. The ventilator was removed, but Alfie continued to breath. Italy granted Alfie citizenship to allow him to travel there for treatment. An air ambulance was at the ready outside the hospital to whisk him and his parents to a military transport, equipped with specialized medical personnel. The hospital allowed Alfie to have supplemental oxygen and water while another appeal took place. 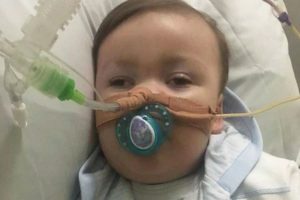 After another failed appeal, the hospital removed Alfie’s oxygen and refused the parents’ attempt to provide it themselves. Alfie’s father had to resort to giving his son mouth-to-mouth resuscitation when the boy’s lips would turn blue. Pope Francis, Members of Parliament and a physician organization pleaded for the life of the defenseless patient. Oxygen, food and water were restored during yet another appeal. A few examples demonstrate the tragic results. 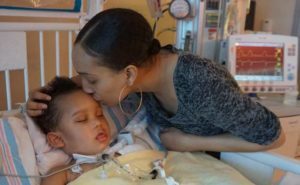 After a severe asthma attack and cardiac arrest rendered two-year-old Israel Stinson mostly unresponsive, doctors declared him brain dead and recommended removing his ventilator against the wishes of his parents. The parents sought an injunction to prevent Children’s Hospital of Los Angeles from ending their son’s life. Immediately after a judge ruled on behalf of the hospital, they disconnected Israel from his lifeline without even stopping to explain the process to his distraught parents. Israel died. 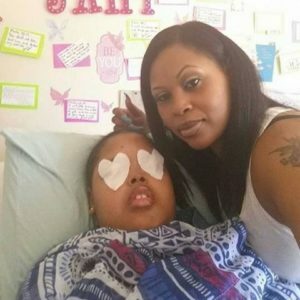 Another reason is Jahi McMath. A routine surgery went horribly wrong at Children’s Hospital in Oakland, CA. Jahi suffered severe blood loss resulting in a cardiac arrest and interruption of oxygen to her brain. Days later the hospital declared Jahi brain dead and pressured her family to donate her organs. Eventually Jahi was transported to New Jersey where, with expert help, her parents have provided ongoing care in an apartment. After nearly five years, this so-called brain dead patient has experienced puberty and menstruates, has moved upon request and achieved other important milestones which have persuaded doctors to conclude that her diagnosis was in error. Jahi’s parents are now forced to navigate the court system to have the brain death diagnosis lifted. What empowered these healthcare facilities to act in such heavy-handed ways against the parents? A California futile care law states “a healthcare provider or healthcare institution may decline to comply with an individual healthcare instruction or healthcare decision that requires medically ineffective healthcare…” provided they believe they’re acting “in good faith” (emphasis mine). “Ineffective” and “in good faith” are left to the interpretation of healthcare providers. Andrea Clark’s life was in immediate danger when an ethics committee at St. Luke’s Hospital in Houston, TX decided to remove her ventilator and other life support, even though she was conscious and appeared to want to live. A subsequent public battle between the hospital and Andrea’s family eventually persuaded St. Luke’s to continue her care until she peacefully died without a “push” from the institution. What entitled St. Luke’s raw authority over her family’s wishes and resulted in an attempt to end Andrea’s life? A Texas futile care law which allowed hospitals to end life-sustaining care with an agonizingly short ten-day notice to find another healthcare facility. Thankfully, this law has been amended to significantly limit its danger to vulnerable patients. We are living in dangerous times, so it’s necessary to be watchful and aware of threats around us. Having said this, many communities are blessed with life-affirming hospitals and healthcare facilities that work hard to defend their patients. We thank them. I’ll leave you with two action items to help protect at-risk patients. Please pray for Alfie Evans and his parents. At this writing, Alfie’s life literally hangs in the balance. Second, find out if your state has passed a futile care law that strips your right to make critical healthcare decisions for a loved one and empowers healthcare facilities to impose life-and-death verdicts based on “quality of life” or “cost-ratio” indicators. Visit our website to take advantage of free critical-care resources, including a two-part episode DVD of Facing Life Head-On called Surprising Realities of Brain Death and Organ Donation. We were shocked by the revelations uncovered during our research. Be equipped and prepared to defend life.